Home Uncategorized Which food delivery apps actually deliver? We tested 6 services in Atlanta. Here’s what we got. Service: Meals arrived in under five minutes, as fast as we could walk to the curb. Drivers stock up on premade orders for record delivery times. 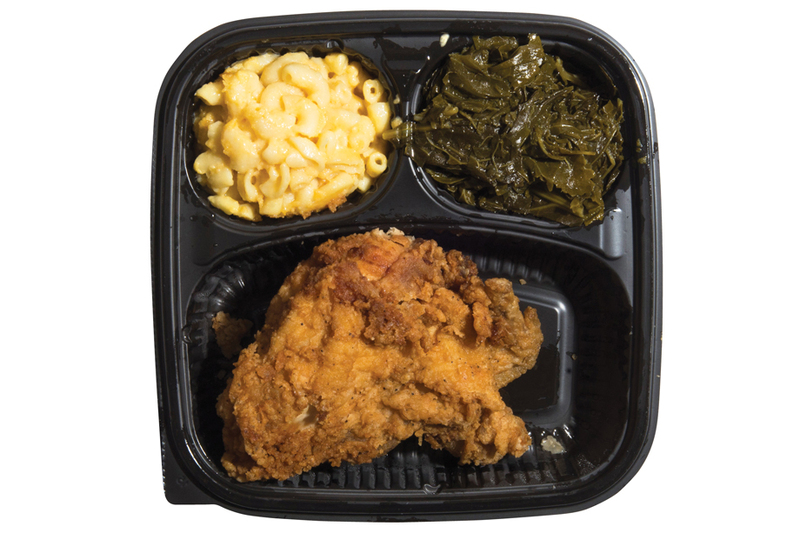 Sample order: $13.49; Busy Bee; Fried chicken with turnip greens, mac and cheese. About what you’d pay in store without tip. Restaurants: Very limited, about five restaurants per day. Recently we saw Tavernpointe, Raging Burrito, and Masti. Service: Accurate, up-to-the-minute updates on the driver’s ETA, plus GPS tracking, car information, and a smart user interface. 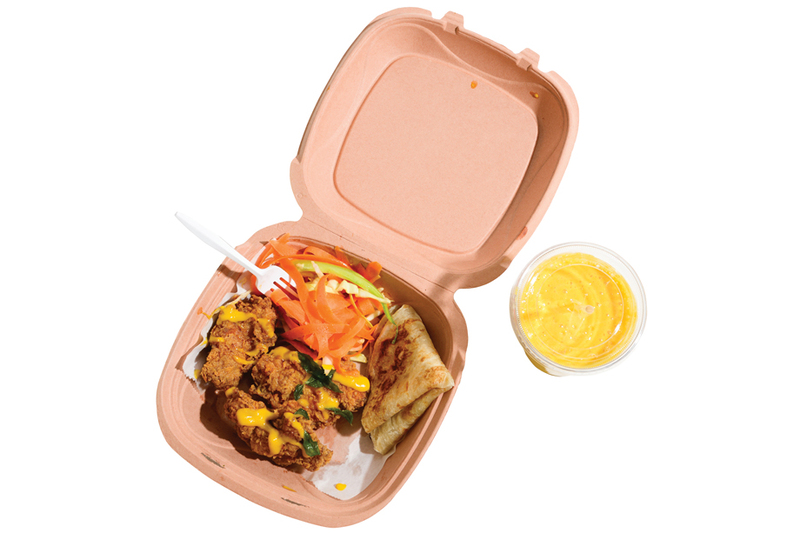 Sample order: $24.52; Spice to Table; Kerala fried chicken, mango lassi. About what you’d pay in store with tip. Restaurants: Quality restaurants with almost no fast food options. Best bets: Goldbergs, Ah-Ma’s Taiwanese Kitchen. Hours: Every day, 8 a.m.-11:30 p.m.
Service: Largely seamless, thanks to GPS tracking. Delivery can take up to an hour or more, so preorder whenever possible. Cost: $13 minimum order; delivery fees based on distance (avg. $2–$7). 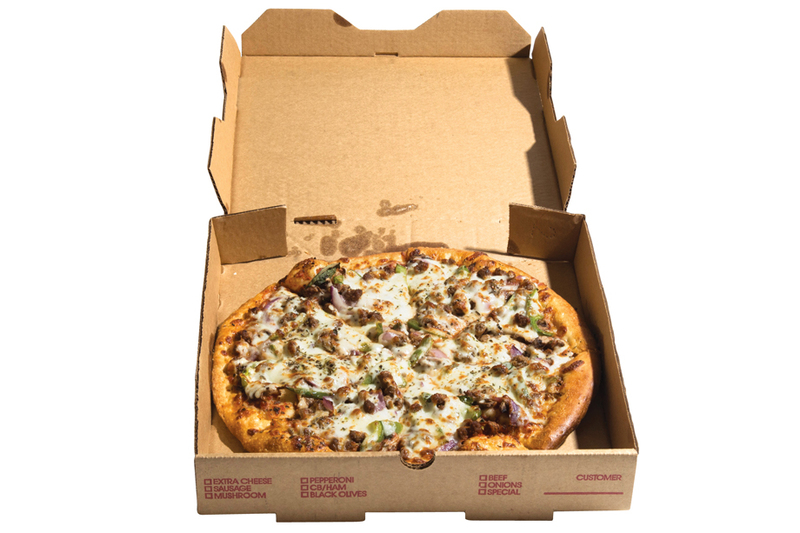 Sample order: $20.59; Edgewood Pizza; 12-inch pie with toppings. About what you’d pay in store with tip. Restaurants: Choices are middle-brow (Tin Drum, Zocalo). Best bets: Bell Street Burritos, Gu’s Dumplings. Service: You have to wait for a driver to accept your order. No in-app updates on processing, ETA, or car info until the driver is en route. Cost: Delivery fees start at $5, plus a 9 percent service charge. 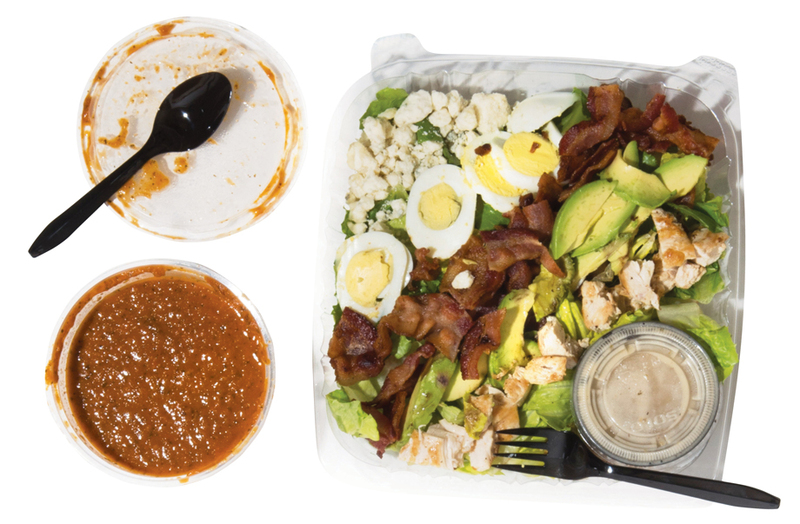 Sample order: $32.93; Hi-Five Diner; Cobb salad with a bowl of soup. About $10 more than what you’d pay in store with tip. Restaurants: Limited. Best bets: Arden’s Garden, Delia’s Chicken Sausage Stand, Fellini’s, Hi-Five Diner. Service: App offers neither on-screen GPS nor a car description, which resulted in unexpected deliveries and confusion on the street. Cost: The most expensive, due in large part to big menu markups. 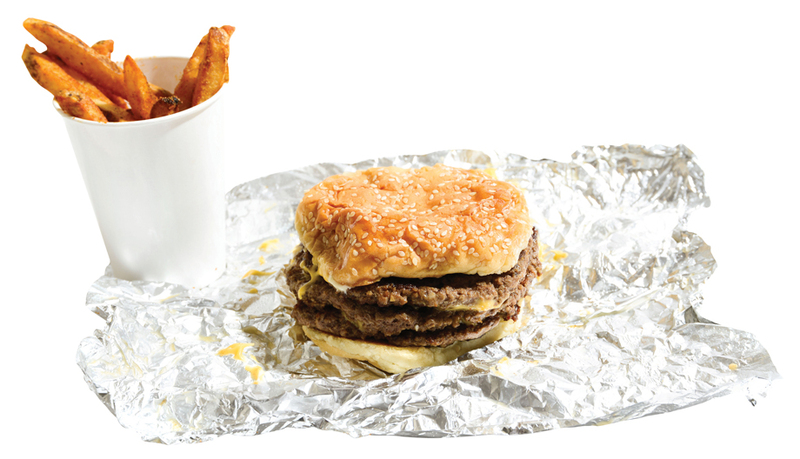 Sample order: $26.48; Five Guys; double cheeseburger with fries. Cost included a $6 delivery fee, plus a 15 percent tip. Restaurants: Mix of fast food and quality restaurants, including Antico, Bocado, Le Fat, 4th & Swift, and Miller Union. Hours: Every day, 8 a.m.-11 p.m.
Service: Primitive app functionality. Can require text exchanges to clarify orders. (“What dressing do you want?”) No delivery ETAs. Cost: $5 delivery fee, plus a 5 percent processing fee; no menu markups. 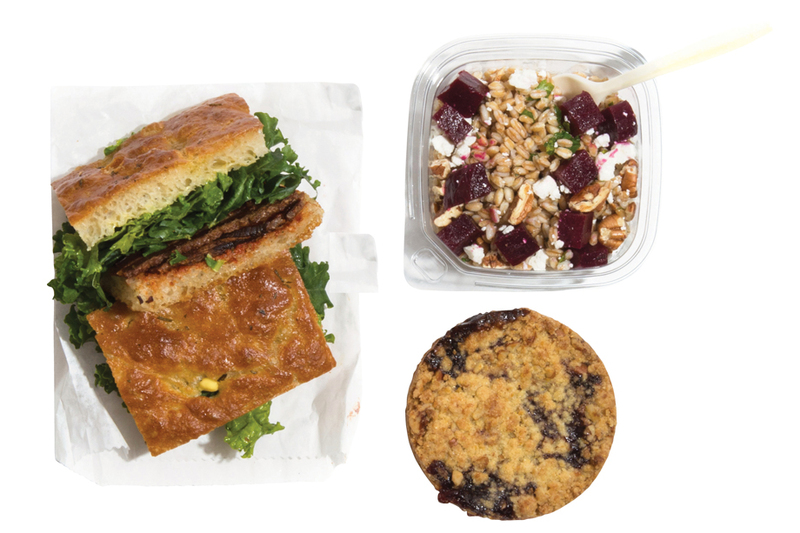 Sample order: $30.41; Little Tart; BLT sandwich, salad, pecan tart. About $7 more than the cost in-store with tip. Restaurants: Any restaurant—from Publix deli to Star Provisions—within certain ITP boundaries. See app for details.